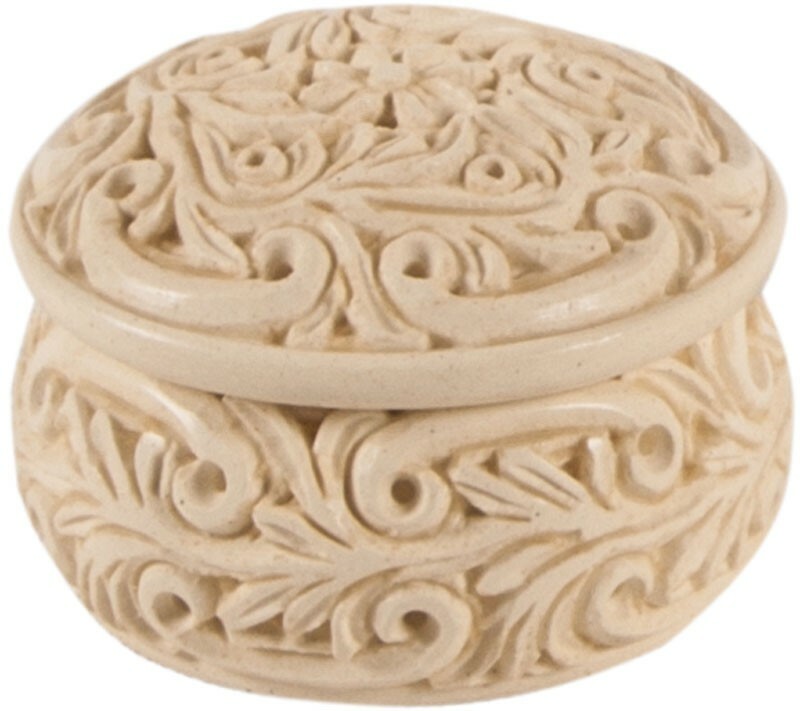 Meerschaum box was made by Sinan Atilla by means of carving the meerschaum with the inspiration from the flower and chain patterns used in the architecture of many civilizations existed in Anatolia throughout history. Dimensions: Height 2, diameter 3.5 cm. 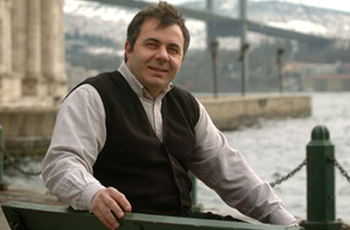 Sinan Atilla, the renowned Istanbul artist who designs and carves these intricate keepsakes, is widely respected in Turkey for his mastery. Meerschaum is mostly known for it’s use in making quality pipes, but Sinan took meerschaum carving to new level by carving keepsake boxes, eggs and other decorative items. Every item is a unique handmade creation by Sinan. Meerschaum is a German word describing this soft mineral, which literally means sea foam. The highest quality stone is mined in the plains of Eskisehir, Turkey. Meerschaum is soft and chalk-like when mined. Shaping and carving is done during this soft stage and followed by a slow drying process. Finally, the polishing technique Sinan uses is also unique. 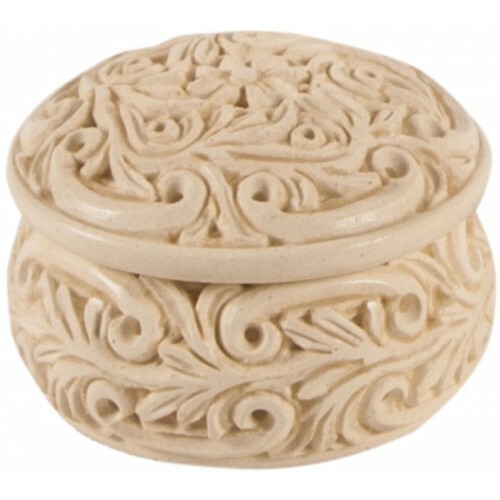 The polish consists of quality ingredients including pure beeswax to give his carvings a beautiful ivory color to this otherwise white stone.